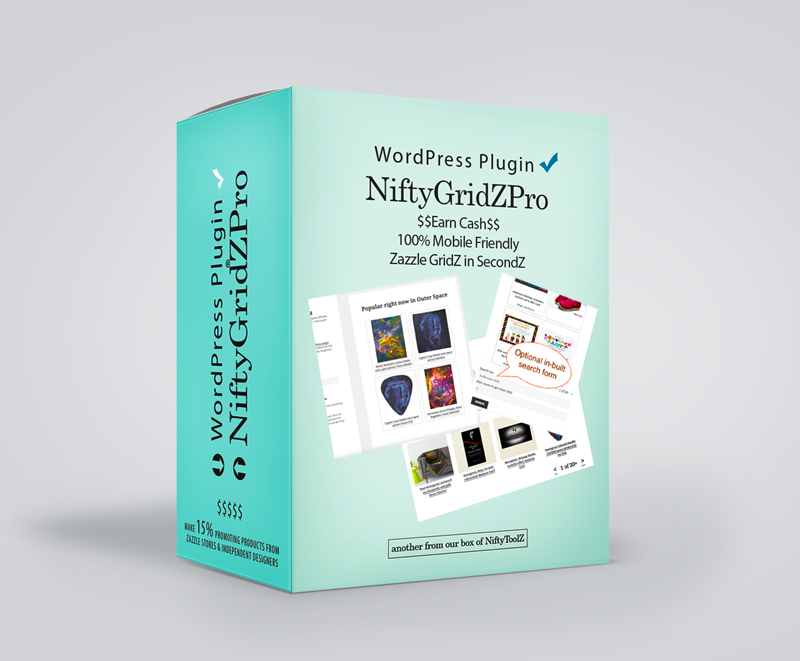 Find out on this page how to get, install and use the NiftyGridZPro plugin. To give you a chance to have a play, download this fully functional, license-free version (January 5th 2018 V3.5 ). The only difference from the licensed versions is that it uses our associate id, so you’ll probably want to stick to designs from your own store to begin with. That way you’ll get royalties on any arising sales. 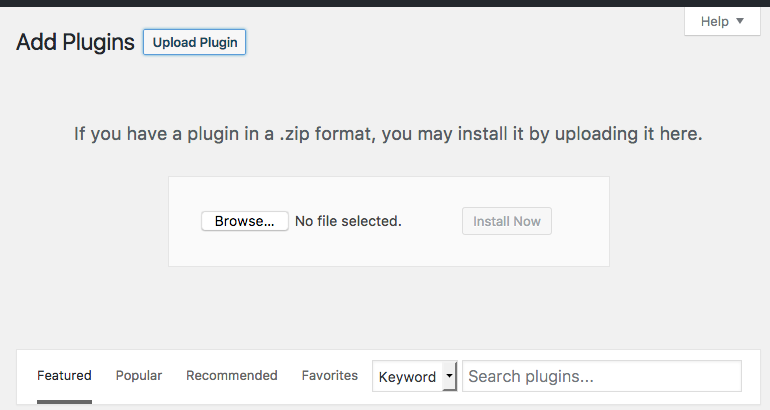 That’s it, now you’re ready to make your first post with the plugin’s shortcode. Make your first NiftyGridZPro grid! You make your grid using a simple shortcode. A shortcode is a WordPress-specific code that lets you do nifty things with very little effort. Shortcodes can embed files or create objects that would normally require lots of complicated code. In our case it creates a grid of products drawn from Zazzle. 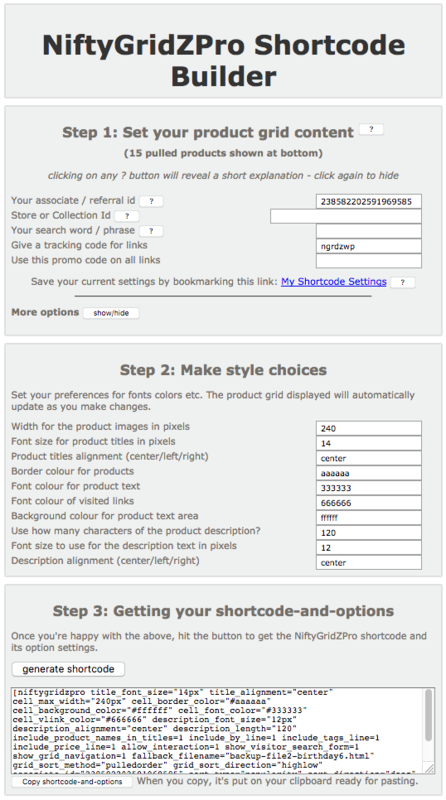 Shortcode options modify what’s in the product grid as well as how it’s displayed and how a visitor can interact with it. If you want visitors to search, use this. To try it out, previewing isn’t enough – you’ll need to publish it first. There are lots of different options you can use and all have sensible defaults for when you don’t mention them in your shortcode. Later, you can see a full list in the FAQ – but ignore that for now as the shortcode helper page saves you the bother. See below. Watch a 3 minute vid showing how easy it is to insert a product grid into a blog post. Ok, now over to you. Enjoy how easy it is now to make fully featured product grids on your blog. You can use it here – and, what’s cool, you can save your settings via its bookmark link – the one labelled My Shortcode Settings.